In an age where technology is sprouting faster than the human eye can track it on Google, there’s no doubt that we’re raising a generation of tech-savvy kids. But as exciting as these developments are, as a parent and an educator, I’ve also seen a troubling trend regarding reading for fun, enjoyment, and relaxation: kids are growing up lacking an intrinsic love of books and reading. The fantastic news is that there are many tangible ways to create, foster, and nurture avid readers. For kids to grow into avid readers, they must be given many opportunities to read—as much as possible and in a variety of ways. They must grow to appreciate all that reading offers. They must get excited about reading. Believe it or not, this is truly possible despite hectic schedules, and is one of the best gifts you can give your child. This is the gift that will benefit them in school and in life and is something they cannot outgrow as fads change. Books keep on giving! 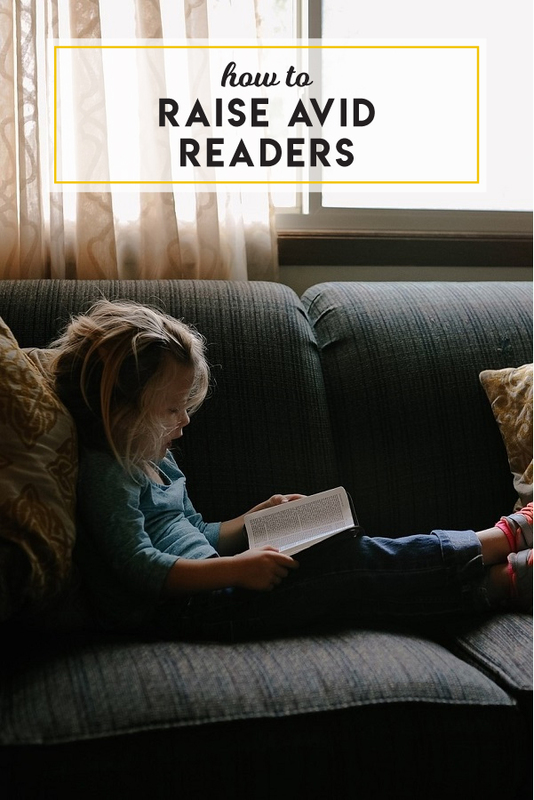 Here are 8 tips for how to raise avid readers; try one or try them all. That’s the beauty of it; they all create a priority of reading for pleasure! Reading together is so important. Make it fun—get into character! As you read, share your likes or dislikes about what you are reading. This will encourage your child to share their thoughts and will enhance their comprehension. Modeling reading for enjoyment is great for your kid and for you! Take a break and just lie on the couch and read. (You may have a hard time putting the books away!) Ultimate goal = quiet reading time together! Grab your library card (or sign up for one if you don’t already have one) then check out an armful of books at a time. This will guarantee an afternoon of reading enthusiasm! Maintain reading time as important and a part of the day where everything else has to wait. This includes work, laundry, and cleaning up the dinner dishes. If you can support a local indie bookstore, all the better! Encourage your child to choose books they are interested in and share their interest by following their lead. Do not concern yourself with the level of the book. First graders do not need to be able to read Harry Potter but should be able to choose a book they love. Reading it reading; shake it up and introduce them to comic books (you can get comic book classics such as Peanuts and Calvin & Hobbes from the library) or other types of reading material.